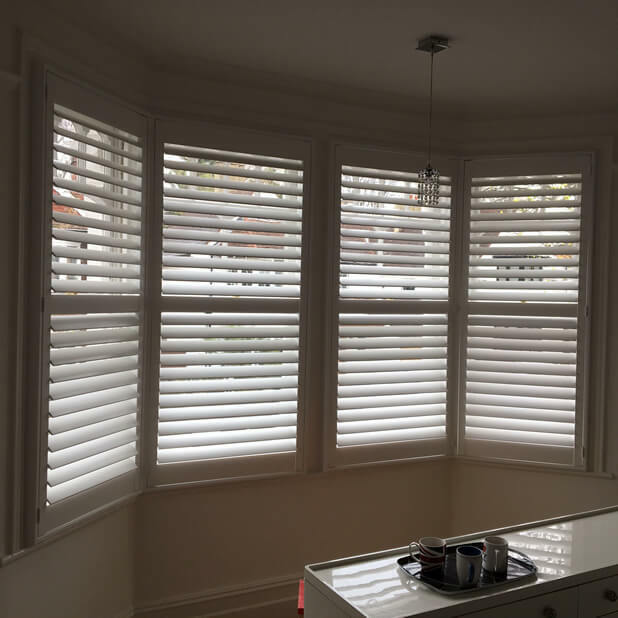 We always love the opportunity to design and install shutters for customers in our local area, with these shutters being made for a home in Bromley, Kent. 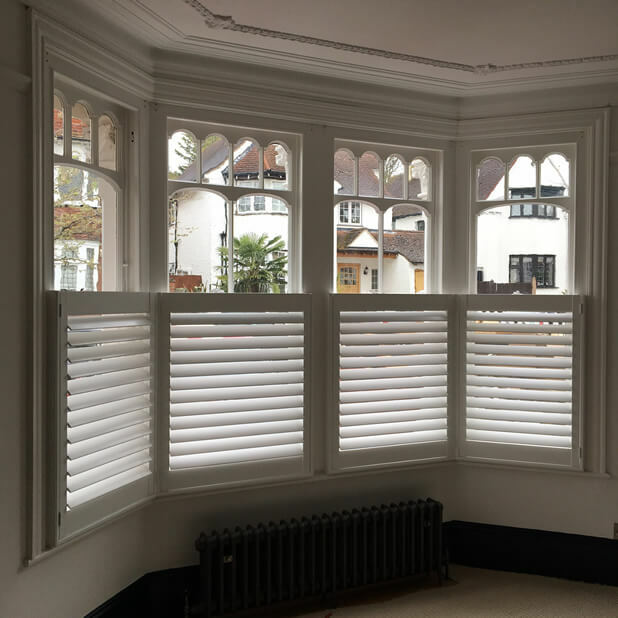 The installation was carried out by Shuan, Roy and Tom after the shutters were carefully created using the exact measurements of the client’s bay windows. The customer wanted a mixture of shutters, with full height shutters in the bedroom and café style shutters in the living room. This is a great mix to have, with full privacy required in the bedroom and shutters only running half way up the window in the living room to allow maximum light in! 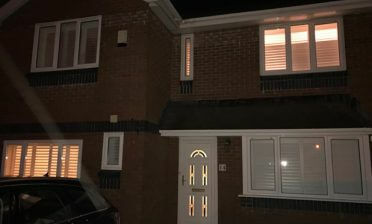 All the shutters were made from the same MDF material taken from our Antigua Range which makes for a more cost effective solution without compromising on the look and all shutters were finished in a pure white paint. The customer decided on having 63mm louvres over all panels with no visible tilt rod which helps to create a clean modern look in both rooms. The shutters can still be fully adjusted using a built in hidden system which allows for each panels louvres to be adjusted in unison simply by moving one with your hand!